I went back to the coast road between Donaghadee and Millisle to explore the townland of Ballycopeland. According to the PLACENAMESNI website, the “copeland” part of this townland name comes from the “De Couplan” family, who were prominent in 12th century Ulster. They also gave their name to the Copeland Islands off the County Down coast. Ballycopeland stretches from the Irish Sea back to the Windmill Road and Ballybuttle Road. It takes in the northern edge of the village of Millisle, as far as the Mill Burn river. Ballycopeland had its own Presbyterian church from 1773 to 1906. Since then the church building has gone, but the name has survived in the combined “Millisle and Ballycopeland” congregation. 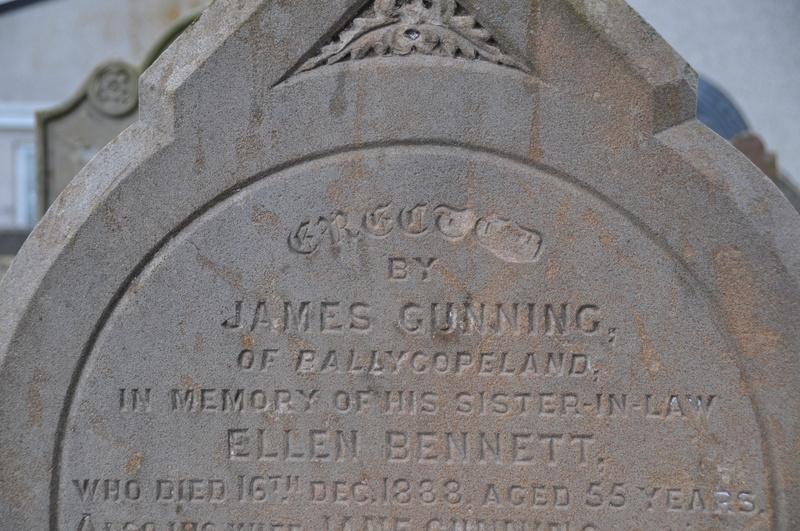 The graveyard beside the Millisle & Ballycopeland church contains this grave for a family from Ballycopeland. 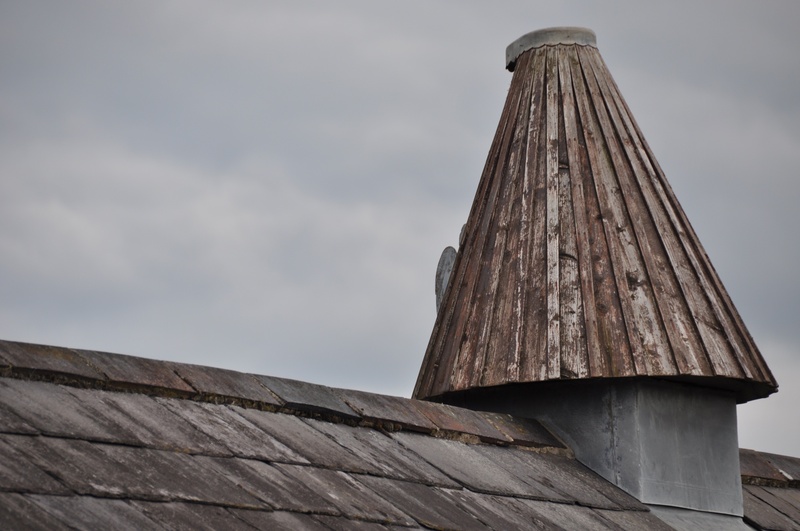 Ballycopeland’s most distinctive building is this 18th century windmill, which once served as the principal grain-mill in the Donaghadee district. Unfortunately on the day of my visit in 2015 the windmill was closed. I took a couple of photos of the traditional features on the miller’s house instead. 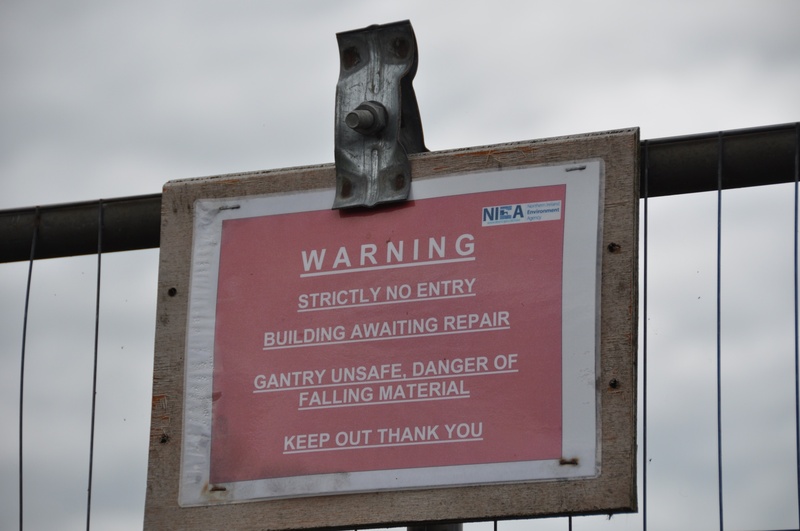 Our best chance of learning more about the windmill now lies with Ards and North Down Council. Their website is advertising an exhibition scheduled to take place later this year. 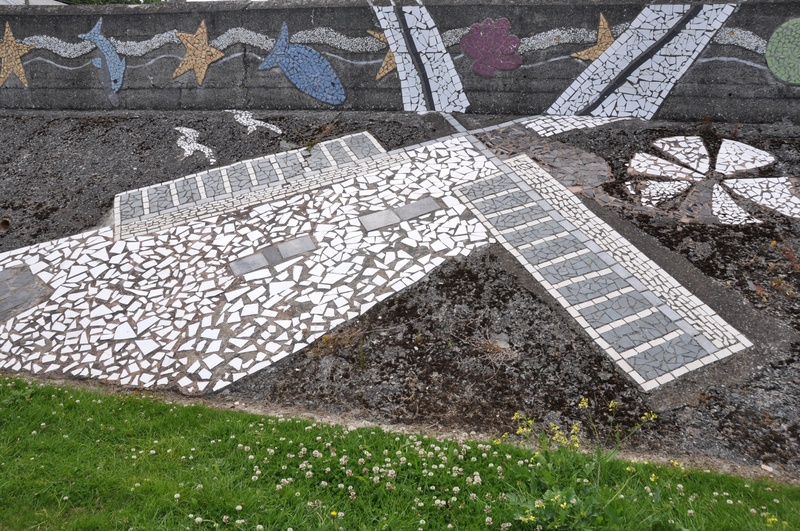 Until then, I can only offer you a windmill mosaic from Millisle beach park in the neighbouring townland of Ballymacruise. 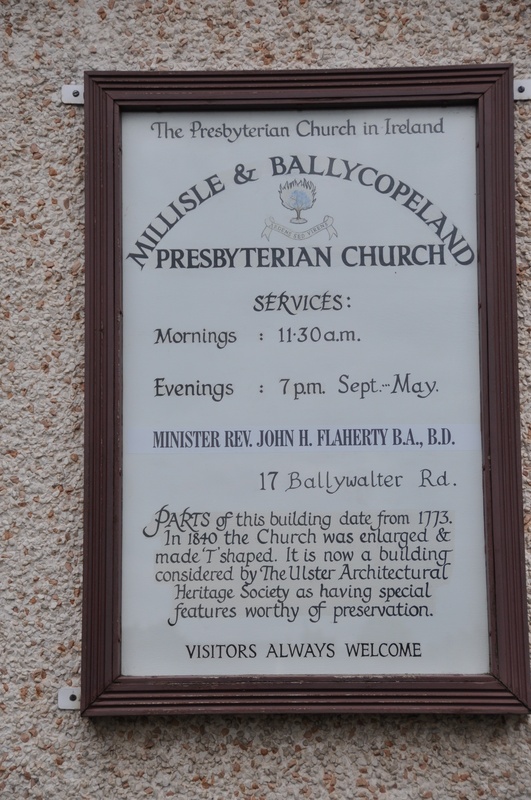 Click here for a history of Millisle and Ballycopeland Presbyterian Church. 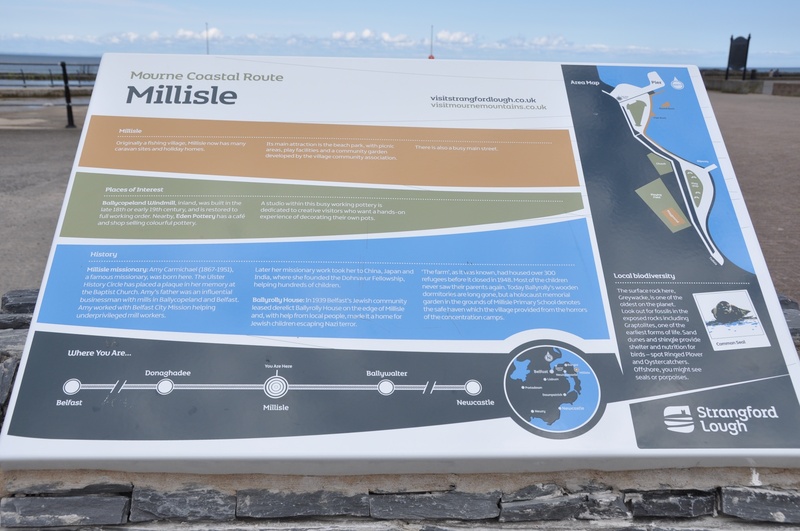 Click here for the village plan “Millisle 2024 Moving Forward”, which includes proposals for improving access to the windmill, and developing a walking route along the river. Which townlands border Ballycopeland? To the north, Craigboy and Miller Hill. To the west, Killaghy . 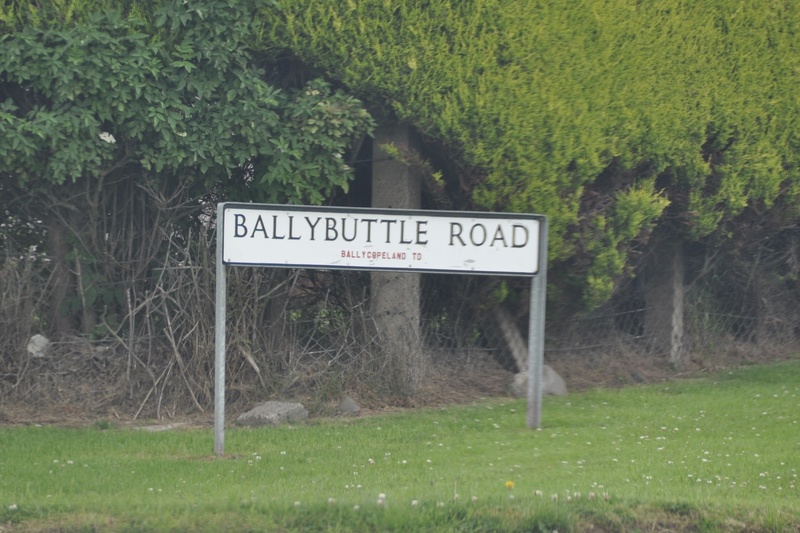 To the south, Ballybuttle and Ballymacruise. To the east, the Irish Sea. 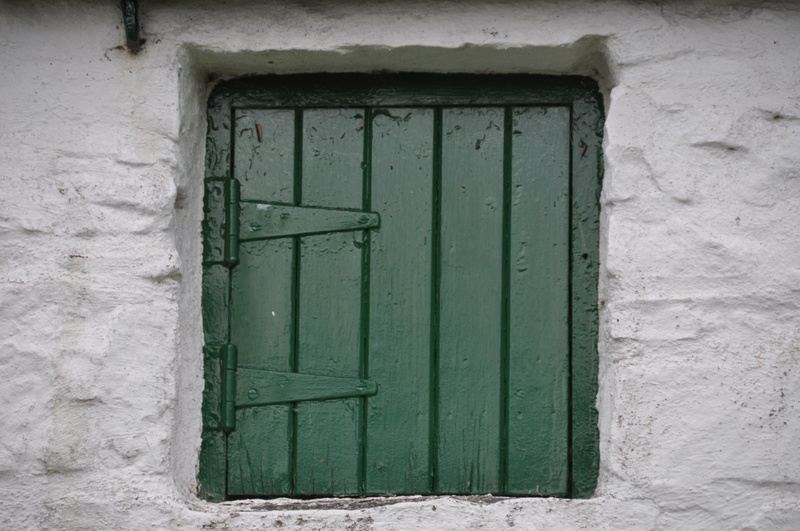 Click here for a map of Ballycopeland on Townlands.IE. Click here for a link to a 19th century map of Ballycopeland on the website of Ordnance Survey Ireland. And finally, click here to read about the townland’s name on my usual source – PLACENAMESNI.ORG. I always think it a shame when buildings, especially ones that were centre of a community are torn down. Which is why I used to love how an old church was repurposed as the Institute of Islamic Studies at McGill – with the most gorgeous historic parts the library – including a special vestibule for rare manuscripts. Did you get to study in that Institute of Islamic Studies? Nice article, and thank you from Millisle. 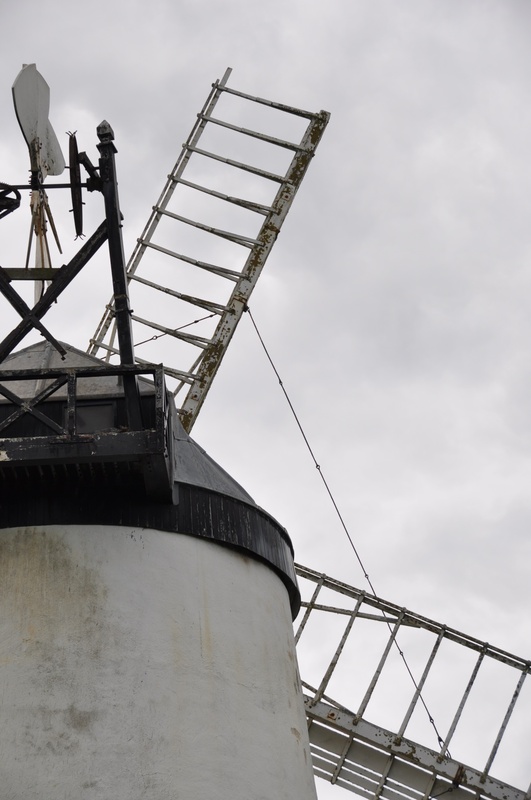 We’re very proud of our iconic windmill, and our wish is that the community can work with the various statutory partners involved to ensure better access to the site once the current restoration is finished. Here’s hoping your wish comes true and I can come back to take more photos of the windmill. I have lots more townlands to do in the Millisle area, like Ballyrolly, Ballyfrenis and Grangee.